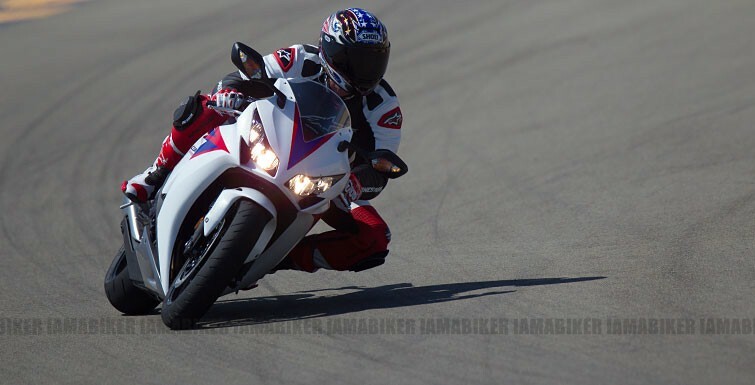 2012 CBR 1000RR Fireblade Officially launched | IAMABIKER - Everything Motorcycle! Earlier in August we brought to you the first photographs of the 2012 CBR 1000RR and finally Honda have made it official. Honda riders Jonathan Rea and John McGuinness took the covers off the 2012 version of Honda’s CBR1000RR Fireblade at Imola. The iconic Fireblade will celebrate its 20th anniversary in 2012 and the new model maintains the original’s ethos of ‘total control’, a philosophy that has been continually refined and evolved during the past 20 years. 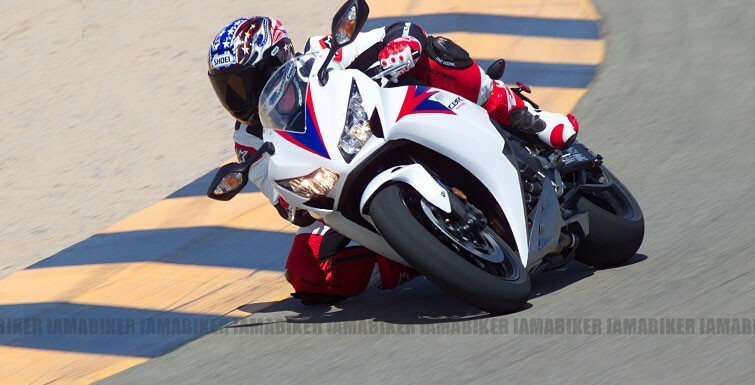 The 2012 Fireblade features a number of innovative features including new wheels and front and rear suspension enhancements to improve handling, traction and braking performance. The advanced Balance Free Rear Cushion rear suspension is a world-first for a production motorcycle. The design team has also created a new, even more aggressive styling to better communicate the dynamism and sheer speed of the new CBR1000RR. 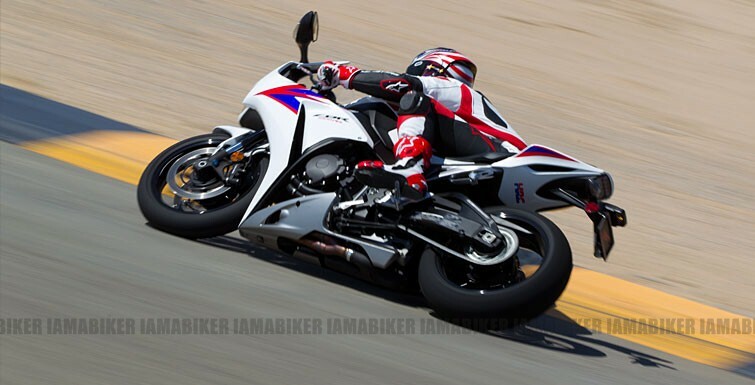 In addition, the already comprehensive instrument panel has additional functionality making the bike more user-friendly, helping riders get the most from Honda’s most exciting and advanced supersport machine yet. 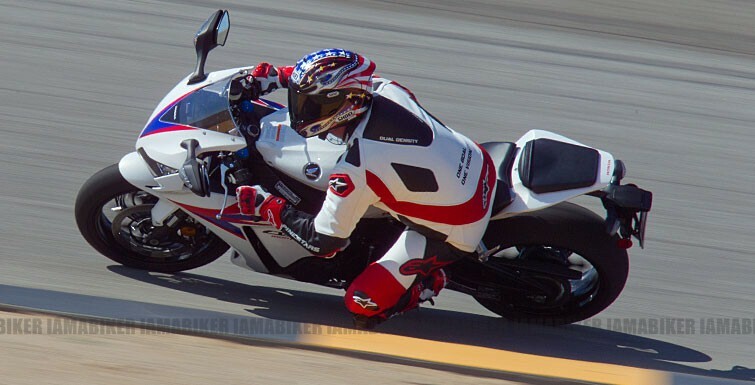 – Dynamic styling package NEW – A new nose, layered main fairing and a tail section bring a more aggressive and a dynamic look to the 2012 CBR1000RR. – Balance Free Rear Cushion NEW – Introduced for the first time on a production motorcycle, this advanced new rear shock uses a double-tube design to ensure smoother and more accurate response, superior damping and improved traction. – Big Piston Front Fork NEW – The 2012 CBR1000RR also features inverted 43mm telescopic forks with Showa’s Big Piston technology. With a unique design to reduce internal pressures, the Big Piston Front Fork offers improved damping, increased front tyre grip and better stability under braking. – 12-spoke wheels NEW – Stunning 12-spoke cast aluminium wheels provide more consistent rigidity to work with the new forks to deliver improved handling. – Enhanced instrumentation LCD NEW – Now with lap timer, gear position indicator, and tachometer with 4 modes of display. – Assisted slipper clutch – Reduces the engine back-torque transmitted to the rear wheel when shifting down, increasing chassis stability under deceleration and on corner entry. – Second generation HESD steering damper – Essential on such a light, compact and yet powerful machine, the Honda Electronic Steering Damper delivers both high-speed stability and light, responsive low-speed steering. – Optional Combined ABS – The 2012 Fireblade can be experienced with Honda’s advanced electronically-controlled Combined ABS braking system, which offers all the reassurance of Honda’s Combined Brake System and antilock braking. – Revised PGM-DSFI settings NEW – The CBR1000RR retains its hugely powerful 999cc inline-4 engine but new fuel injection settings make it even smoother and easier to use, particularly at smaller throttle openings. Brakes (R) – 220 x 5mm hydraulic disc with single-piston caliper and sintered metal pads.